In this highly original history of the world's most famous bicycle race, Christopher S. Thompson, mining previously neglected sources and writing with infectious enthusiasm for his subject, tells the compelling story of the Tour de France from its creation in 1903 to the present. 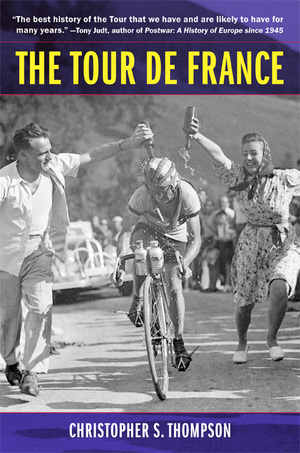 Weaving the words of racers, politicians, Tour organizers, and a host of other commentators together with a wide-ranging analysis of the culture surrounding the event—including posters, songs, novels, films, and media coverage—Thompson links the history of the Tour to key moments and themes in French history. Examining the enduring popularity of Tour racers, Thompson explores how their public images have changed over the past century. A new preface explores the long-standing problem of doping in light of recent scandals.